Meet Our Staff: This Week We Meet Glenda! What was your favourite season and why? My first season was my favourite because everything was all so new and it was a brilliant snow year, which meant I improved my snowboarding loads. I was working as a host in Chalet Le Prele with my friend Ryan. We had great guests that year, including Sophie and Ian – who are now my close friends and work for the company too! I made friends that season who I’m still very much in contact with. It gave me a really good base to start living here full time! 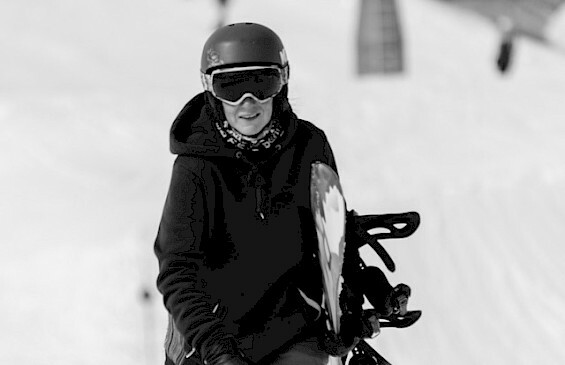 What is the top secret tip you would give to someone coming out to Morzine this winter? For anyone coming to do a season – bring a multi-plug adapter that you only need one converter for! I would also highly recommend finding that one person you can confide in throughout the season. They don’t have to work for the same company but having a person there to help you through the mi-season blues really helps! If you don’t know what the mid-season blues are, you’ll find out! 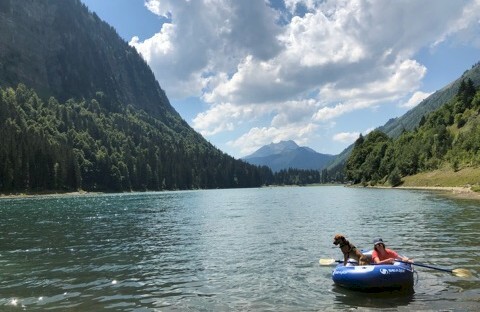 What is your favourite thing about Morzine? The people and the sense of community. You can walk down the street and say hello to ten different people – it means you don’t get anywhere in a hurry but it’s a brilliant environment. What’s been your favourite job at Mountain Mavericks? Driving because I got to meet all the chalet guests that winter and get to know them really well in the week that they stayed with us. Where’s your favourite trail on a powder day? I can’t disclose that!! Then everyone would go but I will mention the ones that are well known – off piste ‘Satellite’ and on piste ‘happy valley’. You can pick three famous people, alive or dead, to join you for a meal at the Aubergade. Who would you choose and what would you choose off the menu? Jeremy Jones, Michael Jackson, JK Rowling and I would have the classic cheese burger! Where can we find you this winter? You can find me at the Kinkerne, serving up coffees and beers! I’m really looking forward to bringing the Mountain Mavericks standard to the Kinkerne and making it a really fun place to hang out. Make sure you try out our home run challenge this winter or pop in after the Folie Douce to carry on the party!! And finally, whats your favourite walk with Meki? At the minute, our favourite walk is up Pleney. It’s cool finding the little walking paths and going through the trees because I can figure out new trails for a powder day!